Ms Poorna Abeysiri is a Consultant Ophthalmologist at Nuffield Health Brentwood Hospital and specialises in cataract surgery (including complex cataracts); general ophthalmology; glaucoma; dry eyes and blepharitis. Ms Abeysiri specialises in the medical, laser and surgical management of glaucoma with fellowship training at Moorfields Eye Hospital, Norfolk and Norwich University Hospital and Dunedin University Hospital New Zealand. She is competent in enhanced trabeculectomy and glaucoma tube surgery and in the use of local and systemic fibrosis suppression in high risk surgical cases. She performs YAG, Argon and SLT laser procedures for glaucoma and cataract surgery including complex cases. 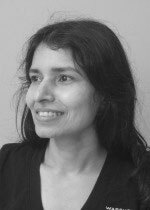 Ms Abeysiri has a masters in medical education and is a College Tutor to the Royal College of Ophthalmologists and Educational Supervisor to the London Deanery for Ophthalmic trainees. She also teaches ophthalmic surgery to London deanery ophthalmic trainees. Ms Abeysiri is active in research and has published in journals such as The Lancet, The BMJ, The Archives of Ophthalmology and Graefes Archives of Ophthalmology. She has presented research and audits at national and international meetings. She is currently publishing a paper on a new surgical technique for revision of high risk glaucoma tube surgery with an international expert. Ms Poorna Abeysiri does not hold a share or financial interest in this hospital, another Nuffield Health hospital or the company. Ms Poorna Abeysiri does not have a share or financial interest in equipment used at this hospital or another Nuffield Health hospital. Ms Poorna Abeysiri does not hold any paid advisory role(s) at this hospital or on behalf of Nuffield Health.